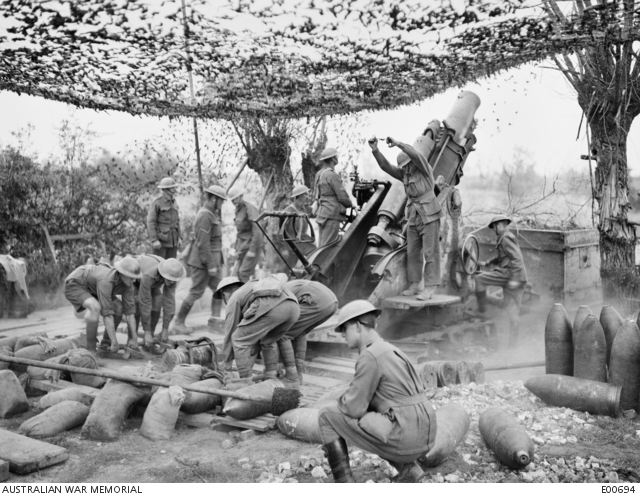 A 9.2 inch gun of the 2nd Australian Siege Battery (55th Australian Siege Artillery Battery) in action. 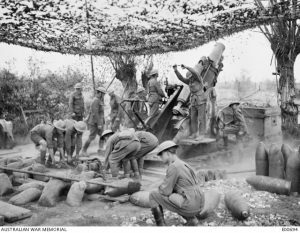 Image courtesy Australian War Memorial. This entry was posted on September 8th, 2017.